† Baptisms follow a monthly rotation similar to the sacrament of reconciliation cycle. Baptism will take place at the St. James site at 8:30 am on the last Sunday of the months of February, April, June, August, October and December. Baptisms at the St. Joseph site will be at 10:45 am on the last Sunday of the months of January, March, May, July, September, and November. 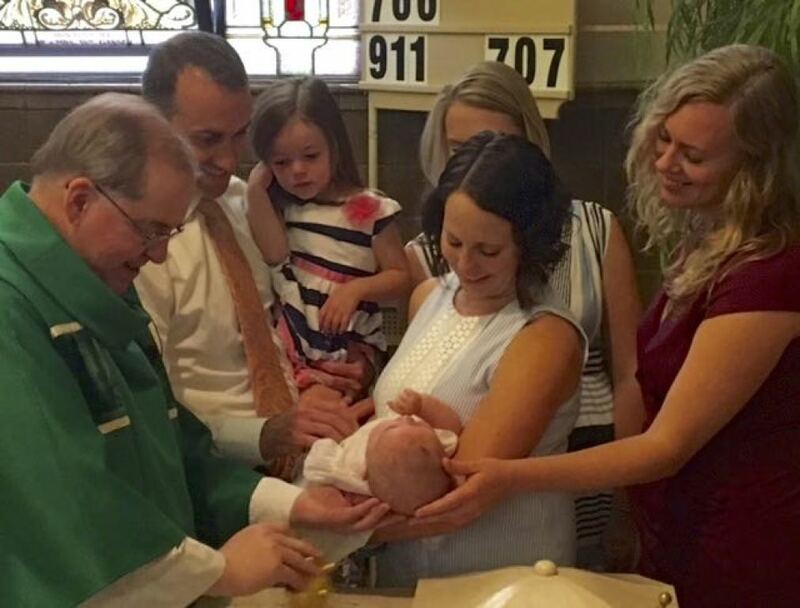 † First time parents will need to attend a Baptism Preparation Class. Please contact Sister Zita Simon at 268-9934 to set up a Baptism Preparation Class and Baptism. † Baptism Preparation Class in Spanish is held on a Saturday at the St. Joseph site. Contact Denice Jimenez at 268-9932 to set up a class. 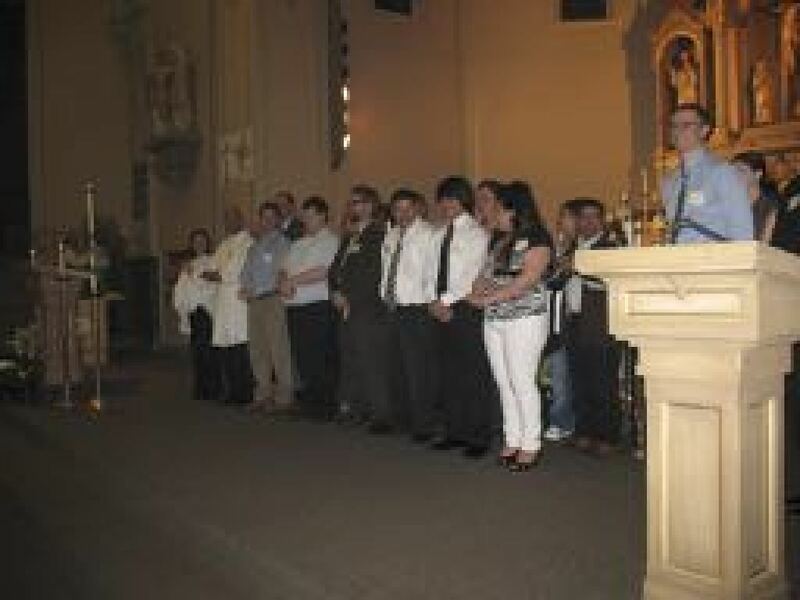 † Baptisms preformed in Spanish by Father Manuel Mendez are held on Saturday at the St. Joseph Site. 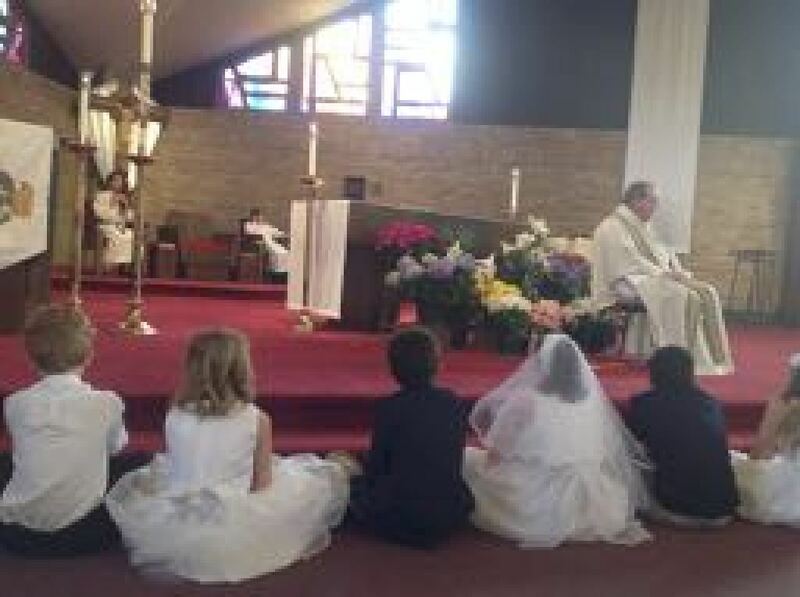 Contact Denice Jimenez at 268-9932 for available dates or to schedule a baptism. Presented each year during Religious Education Classes. Please contact the Pastor at least 6 months in advance. 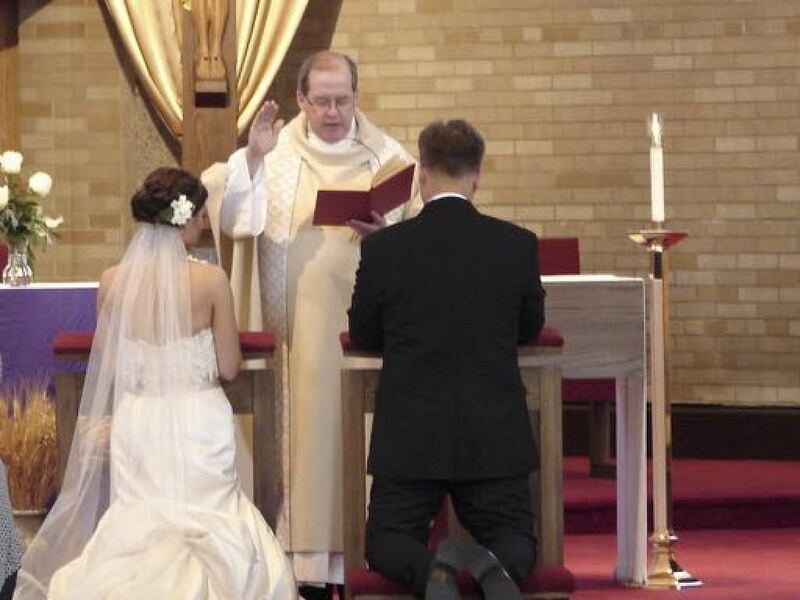 Bride, groom or parent must be a registered member for one year prior to contacting the Pastor for a wedding. † 9:15 am (Jan, March, May, July, Sept, Nov) at the St. Joseph site. † 9:15 am (Feb, April, June, Aug, Oct, Dec) at the St. James site. † Sunday evenings with Father Manuel Mendez just before 7:00 pm mass (between 6:20 pm and 7:00 pm), or by appointment. Adults wishing to receive the sacraments of Baptism, Eucharist or Confirmation in the Catholic Church call Sister Zita at 268-9934, or for instructions in Spanish contact Denice Jimenez at 268-9932 for more information. ©2019 Good Shepherd Catholic Parish All Rights Reserved.